When Aarti asked me to write a guest post for her blog, I was very flattered. After all, I’ve never blogged before, and if a “professional” blogger asks you to write, you assume they think you have something to write about. In order to keep a good image, and to live up to the task at hand, I started reading up articles on the internet on how to write a good guest post. What seemed like a common tip was that your content should be unique and backed with facts. Keeping that guideline in mind, I wrote about a subject that I feel very strongly about (those who know me will say that covers my feelings for almost everything). In this case it was water, or to be more specific, rainwater harvesting. Water is a touchy topic with me, and if you happen to be washing your hands in my kitchen sink with the tap running, well, I’ll leave you to imagine the consequences of that…. 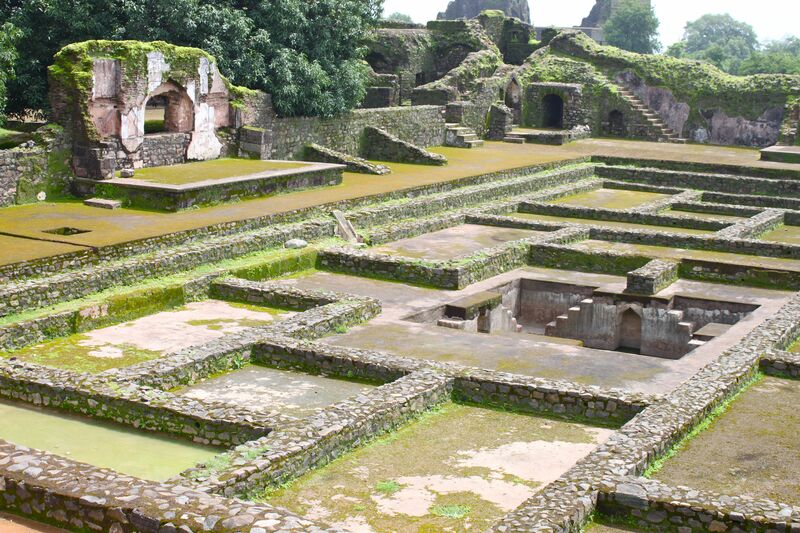 Anyway, I got down to the task of writing about our recent trip with Aarti to Mandu, and it’s centuries old rainwater harvesting systems. Backed with solid facts, it was, a “good post” (in Aarti’s words) but not “me” (Aarti’s words again mind you). Now, there are two words I’m always vary of. The first one is interesting. When someone describes ANYTHING as interesting we all know it is anything but that. And the second is not you. Oh – oh. So, here I am, back to the writing board, trying to be as me as possible (which, I accept is a very shallow, frivolous image, not fit to talk about a serious topic as rainwater harvesting). But I’m serious. Honestly. 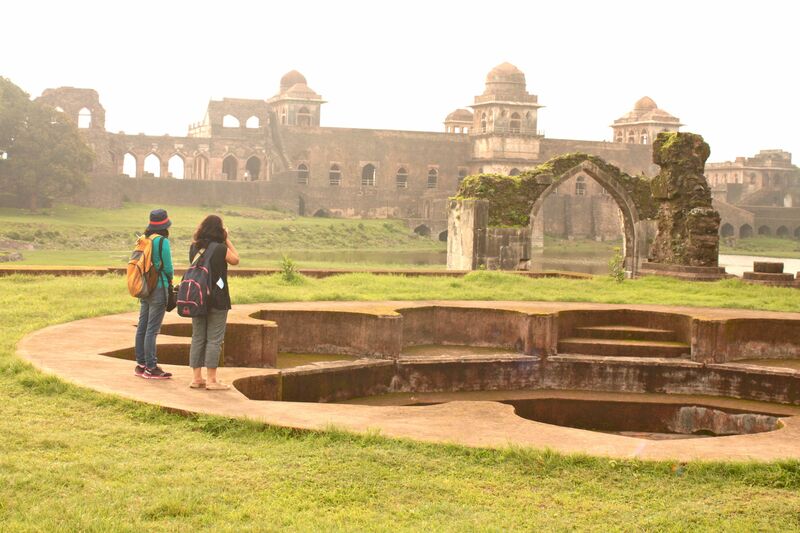 There are two reasons you should visit Mandu. On second thoughts, let’s make that three. The first two are the usual good old reasons to travel – it’s a beautiful place, green, serene, largely untouched by the concrete jungles we make of any pristine location and it has awe inspiring, unusual historical architecture. The combination of the two in the monsoon is simply magical. 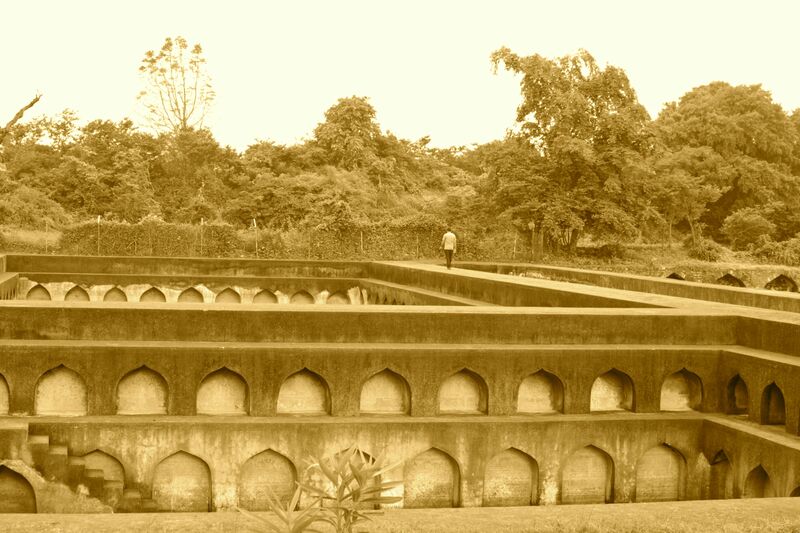 However, if you are touchy about water, like I am, then I think Mandu is a pilgrimage. You should go there and bow your head, look at the skies in wonder, gasp with tears in your eyes and imagine yourself dead and in heaven – even though with the life you’ve lead so far, you’re probably better suited for hell. So imagine this, over 1400 years ago, the wise kings of the Parmar and the Mughal dynasties, knowing that they were making Mandu their base, and knowing that the hill town is not quite wisely located – on top of a plateau with no ground water and no river in sight, decided to solve that issue smartly, sophisticatedly and beautifully. Frankly, one wonders if humanity is losing it’s common sense as it’s gaining it’s technological sense. Anyway, I digress…. 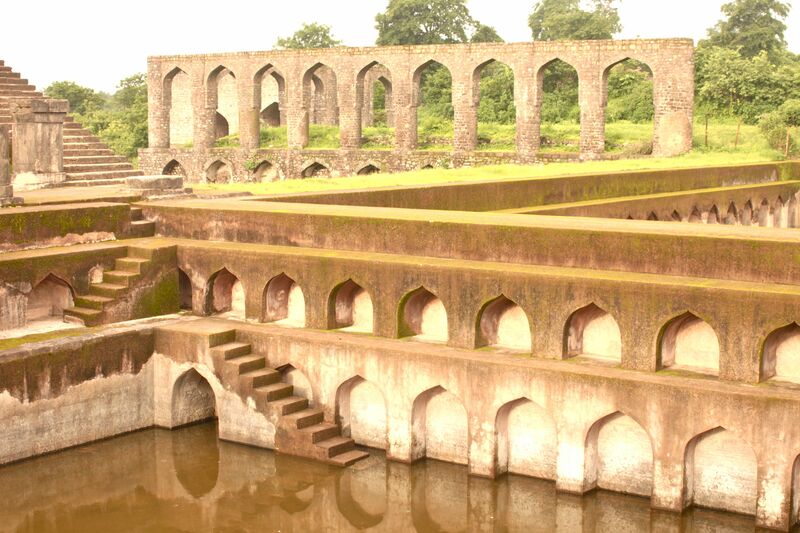 What you find in Mandu is a very well engineered rainwater harvesting system in place, and lying idle (yes, the town faces acute water shortage every summer). 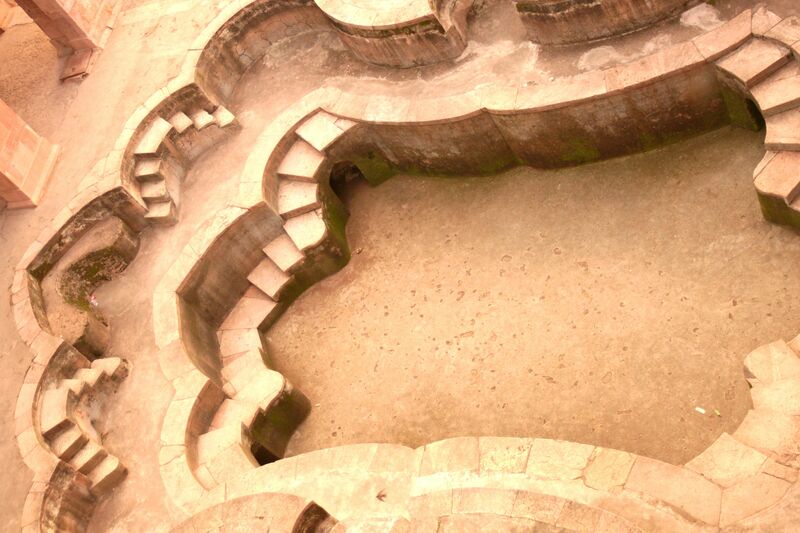 There are over 1200 manmade tanks and baodis (stepwells), for catching rainwater, for storage, supported by filtration systems, aqueducts and pulley systems to take water up to higher ground. The system must have captured rainwater during the monsoon and sustained life long after the rains have come and gone. Your heart will swell up when you see water provision made on such a large scale. Yes, someone knew how important water is! Go to Mandu, pay your homage and feel good that all that destruction you see on your TV is not all that we humans are capable of. We are capable of creating beauty, of sophistication, of art in something as basic as a water system, and if we could do it then, we can do it now. Mandu, in its days of glory was called the City of Joy. To me, it still is. 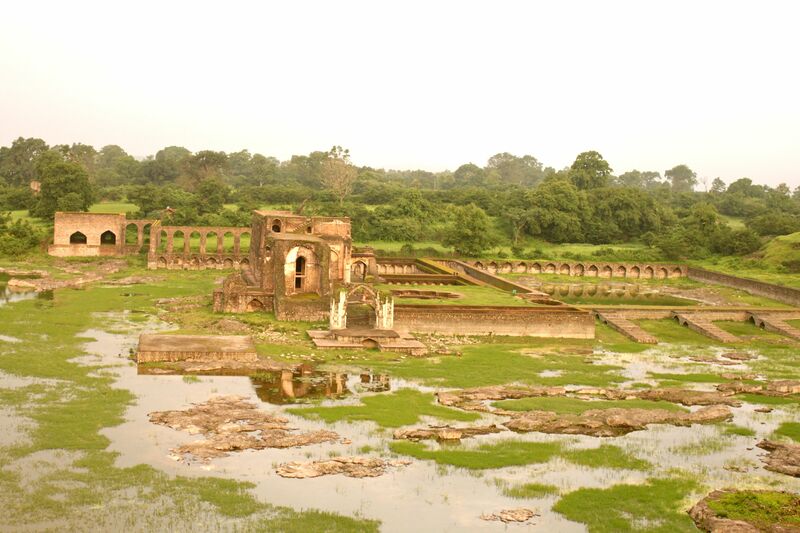 Mandu is 98 kms from the city of Indore (the closest airport) in Central India. Best time to visit is the monsoon. Wow! what a well written blog Chetna, you definitely have a multifaceted personality. Well articulated blog which makes delightful reading. Awesome read Chetna, hope to visit this place some day!! Wonderful writing, Chetna! Water conservation is something I’m terribly touchy about too. I would love to visit Mandu one day..the pics are like always, beautiful!